The Georgian Military Highway is the historical road leading north from Tbilisi into the Caucasus Mountains. 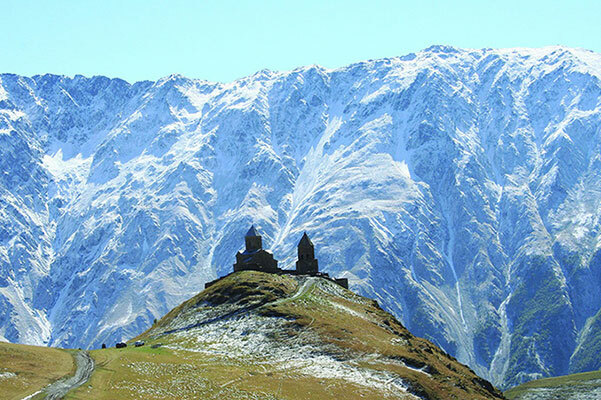 It passes the spectacular Ananuri fortress, then climbs the sides of the dramatic Aragvi River Valley, then over the Jvari Pass (2395m) and down into Kazbegi (1700m). 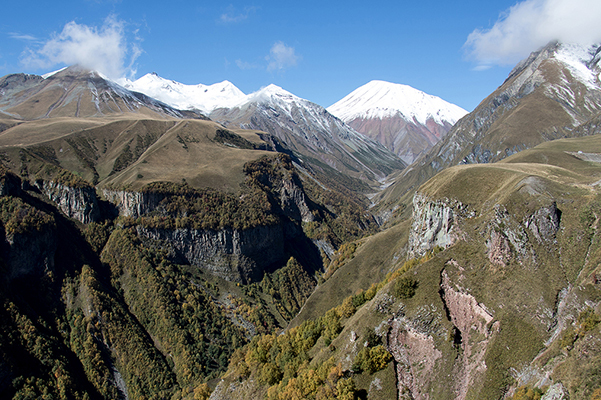 Official name of Kazbegi is Stepantsminda. Surounded by gigantic mountains, Kazbegi is a picturesque settlement overlooked by the biggest peak of all – Mount Kazbek (5047m) – one of the six 5000 metre peaks of the Caucasus. The Sameba Church in Gergeti is beautifully situated on the hill above the town and provides splendid views of Mt. 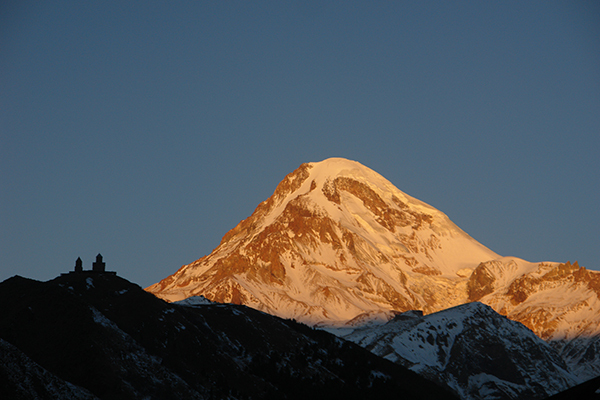 Kazbek. The region, with its many valleys and peaks is one of the most popular walking destinations in Georgia. The nearby Chaukhi Mountains provide superb rock-climbing, with numerous routes. The Gudauri ski resort located just the other side of the Cross Pass on the southern slopes of the Caucasus offers the best skiing and heliskiing in the Caucasus.